Nonprofits have to pay close attention to technology in order to be sure they're using it to their full advantage. After all, something that seemed utterly impossible a year ago, may be the new big thing in donor relations. In fact, something that seemed impossible three months ago, very much is a new big thing in donor support. 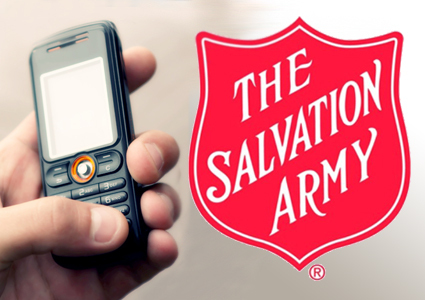 This new trend is donations via text message. The ability to collect donations this way has really only come to national attention since its massive success at raising funds for the American Red Cross in the wake of Haitis devastating earthquake in January. The numbers currently floating around suggest that the Red Cross was able to raise more than $10 million in only 36 hours using this method. Obviously, smaller nonprofit organizations are eager to learn if they can take advantage of this new technology. The answer to their question is yes, but there are some important things to note before jumping on the bandwagon. One of the reasons that the Red Cross was able to take in so much money is because the phone service providers waived their fees for that particular project. That means that 100% of the money donated was actually sent to the nonprofit. In fact, the cell service providers even went a step above and beyond by sending the pledged funds to the Red Cross before they had even collected them from their customers. In most cases, however, the cellular provider actually keeps a very large chunk of the donation. Its basically viewed as an administrative fee, but it can easily stray into the 50% range. To get around this problem, there are several companies rolling out products that allow your supporters to make donations with their phones, but they arent exactly via text. One product Ive learned about still allows for donors to text a keyword to a certain number, but rather than having the money added to the phone bill, they instead receive a link back via text message. By clicking this link, they are taken to the nonprofit organizations donation page. While this process is a tad more complicated than what was done to raise funds for Haiti, it definitely has potential to tap into the mobile society in which we live. A radio or billboard ad or public service announcement could prompt someone to make an immediate donation while the sense of urgency is strongest. A speaker at a fundraising event could ask everyone present to make an instant $5 donation on their phones and then announce the total at the end of the event. Keeping up on technology is just one more way to help your nonprofit organization get every advantage possible. Accounting Software: Is It Really Necessary for Your Small Nonprofit?